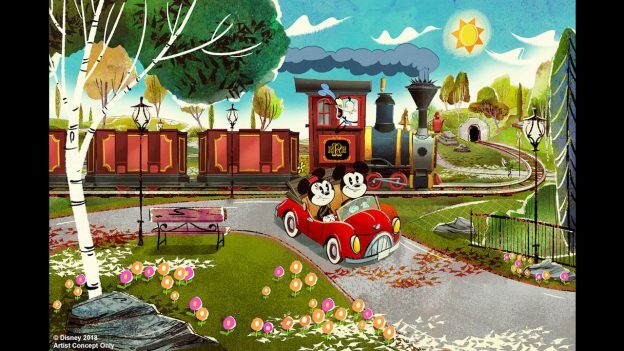 One of the current projects in Disney’s Hollywood Studios in Walt Disney World is Mickey and Minnie’s Runaway Railway. Expected to open next year, this will be the first attraction centered around Mickey Mouse (well, unless you count Mickey’s House in Disneyland). The ride will use audio-animatronics as well as “2 and 1/2 -D,” essentially being 3D without the glasses. Disney’s apparently counting on this ride being a success, as new reports say that the ride will be cloned over to Disneyland in Mickey’s Toontown. This has not been announced by Disney, but is expected to be announced at the D23 Destination D event on November 18, 2018, which just so happens to be Mickey’s 90th birthday. Should this ride be coming to Mickey’s Toontown, very little is expected to close. Reports indicate that Toontown will remain mostly the same, still hosting Roger Rabbit’s Car Toon Spin, Gadget’s Go Coaster, and all the houses.The supposed site for the ride will be a backstage building, reportedly the main entertainment development building and the firework launch zone. To make up for the lack of fireworks, Disney will reportedly rely more on projections for their nighttime shows. 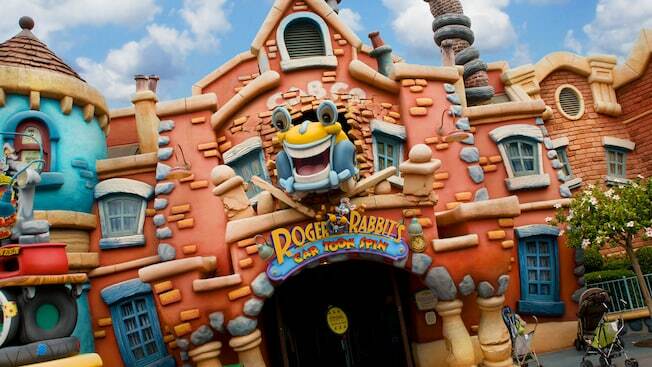 The Gag Factory in Toontown will also reportedly close and become the entrance to the attraction. I personally am looking forward to Mickey and Minnie’s Runaway Railway, but I’m not enthused that it’s being cloned. Who knows, maybe each version will have some sort of twist. At least we won’t be losing Roger Rabbit! All will be revealed on Mickey’s birthday. And remember, don’t shoot the messenger! SEJ101 is one of our contributors to D-COT and finds all the juicy gossip going on at Disney. WOW! Very interested to hear if this comes to fruition as Toon Town definitely needs the love. Ohhhhhhhhhhhhhhhhhhhhh wow this is pretty cool! While I am very disappointed that the Great Movie Ride closed down…. I really am looking forward to trying this new attraction!! that sounds fun ! I cant wait to see and try it !